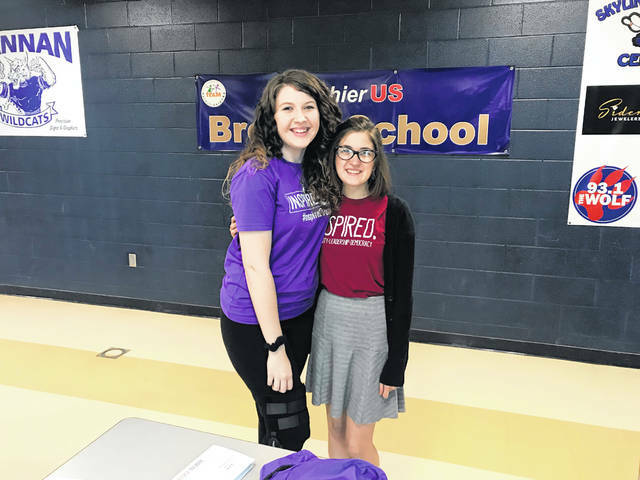 Olivia Hubbard pictured with Sumer Hughes, Hannan High School senior and an Inspired Leader with Inspire WV, during the voter registration event Hughes planned for her peers. Olivia Hubbard, regional coordinator for Inspire WV, helping Hannan students register to vote. ASHTON — A local high school senior was recently awarded a fellowship to bring an event to her school aimed at helping her classmates understand, engage with, and create their own voices in the news, while also registering them to vote. Sumer Hughes, Hannan High School senior and an Inspired Leader with Inspire WV, was recently selected to be a fellow in a national fellowship program called 22×20. Hannan High School has a senior class of 42 students who are age-eligible to register to vote and have a voice in elections and Hughes wanted to take the lead to help her peers in the process of becoming lifelong voters. Hughes shared she and project partner Katie Sturgeon took on the task of registering roughly 27 of their fellow senior classmates. The students were polite and attentive during the Inspire WV presentation which preceded the voter registration. Many engaged themselves by asking questions and/or taking videos and pictures for Inspire WV’s social media outlets. 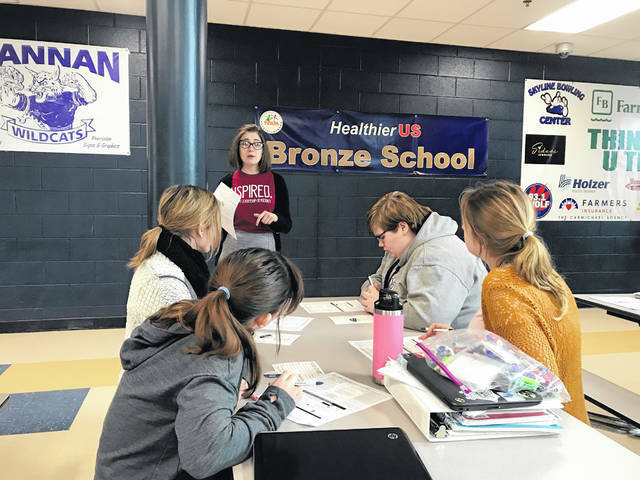 “I think it’s great for Hannan students to know that people outside our little town and county believe in us, and what our voices can do,” said Hughes. Inspire WV is Hughes’ host organization in West Virginia and also supports another fellow in Kentucky. Inspire WV is a program of Inspire U.S., a national 501(c)3, nonpartisan organization working to encourage young people to participate in their democracy. Inspire WV supports high school students in planning and executing peer-led voter registration, engagement, and mobilization events in statewide schools throughout the school year.